Arthur Warren Phelps, a Professor at the College of William & Mary since 1945, was appointed dean in 1947 after the death of Theodore Cox. Phelps received a B.A. from Washington and Lee University in 1931, a M.A. from Ohio State University in 1932, a LL.B. from the University of Cincinnati in 1935, and a LL.M. from Columbia University in 1940. 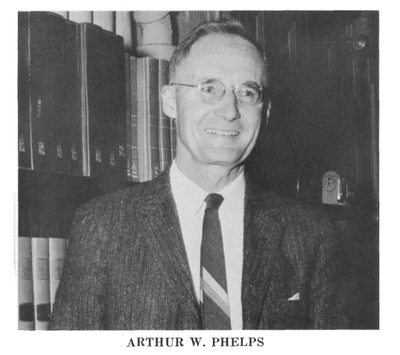 In 1948 Phelps decided to return to teaching and remained at William & Mary until his retirement in 1974.